Many Anchor customers ask us for assistance with getting the best performance out of their website. Website performance is a complex topic to which there are many contributing factors: from a hosting perspective, these can be as simple as underpowered infrastructure or over-contention, but geographic location and latency can often come into play as well. Having your site hosted in a modern, high-speed environment with world class managed services provides a solid foundation for your website. Utilising a Content Delivery Network (CDN) as well can assist in giving your website an extra boost in speed and performance. Anchor is an official partner with Cloudflare; a global Content Delivery Network designed to optimize security, performance and reliability. Cloudflare offers robust CDN capabilities in addition to other security services including DDoS (Distributed Denial of Service) protection and web application firewalls (WAF). A Content Delivery Network (CDN) is a network of servers that are distributed across many geographical locations (referred to as a Point of Presence, or PoP). These servers act as a reverse proxy cache to your website. When a user visits your website, their request is routed to the nearest CDN PoP – the CDN reverse proxy will then either return the requested component of the website from its cache, or retrieve it on behalf of the user from your website server (referred to as the origin server). Typically many components that form your website, such as images, can be cached by the CDN, avoiding the need to retrieve it from the origin server. Because the CDN PoPs are geographically distributed, they are likely to be closer to your users than your website origin. Users of your website will be able to request an asset and receive a response more quickly than if the request were served by the origin. Consider an example in which a user in Europe is attempting to access your website in Australia: It will be quicker for them to retrieve an image from a PoP in Europe than it will be for their request to traverse all the way to Australia. 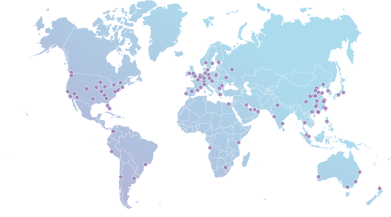 If you are looking to take advantage of a CDN, a great place to to start is Cloudflare’s free plan. This basic plan can be set up in less than 5 minutes and only requires a simple change to your domain’s DNS settings to get you up and running. There is no hardware or software to install or maintain and you do not need to change any of your site’s existing code. As a partner of Cloudflare, we can offer discounted pricing to our customers if you are looking to take advantage of some of Cloudflare’s advanced performance and security features such as image optimisations, web application firewall (WAF) and PCI-DSS compliance to name just a few. 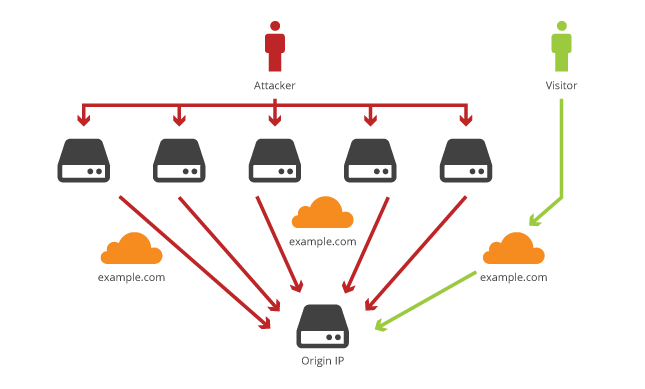 DDoS Protection – Why do I need it and how does it protect against attack? Denial of Service (DoS) attacks are designed to make your website inaccessible, and can have disruptive effects should your business rely on your website being available. Attacks can be targeted, premeditated, but can also be neither. These attacks most commonly involve an attacker sending an overwhelming quantity of requests or data to your website, exhausting the capacity of your web server to service these requests. During an attack, no capacity remains to service legitimate requests, and your website will become inaccessible. CDNs mitigate the effectiveness of this kind of DoS attack by “absorbing” the attack across the network’s many Points of Presence; instead of a single server being overwhelmed, each server in the CDN is able to handle a smaller quantity of traffic. CloudFlare additionally monitors requests and can automatically block requests that it identifies to be part of a DoS attack. Meanwhile, your server continues to only serve the legitimate requests that CloudFlare forwards to it. On the modern internet, any website may find itself a target of a DoS attack; taking preventative steps now can lessen the risk of prolonged downtime from falling victim to a DoS attack. Cloudflare also provides website traffic insight and other analytics such as threat monitoring, so that you can improve your site even further. As a partner of Cloudflare, Anchor can help you to implement a cost effective CDN that can have positive influence on your site performance. The easiest part about Cloudflare, however, is that it only requires a simple change to your domain’s DNS settings. There is no hardware or software to install or maintain and you do not need to change any of your site’s existing code.